The class was very well demonstrated and Robert definitely knows what he is teaching…it was worth every cent! 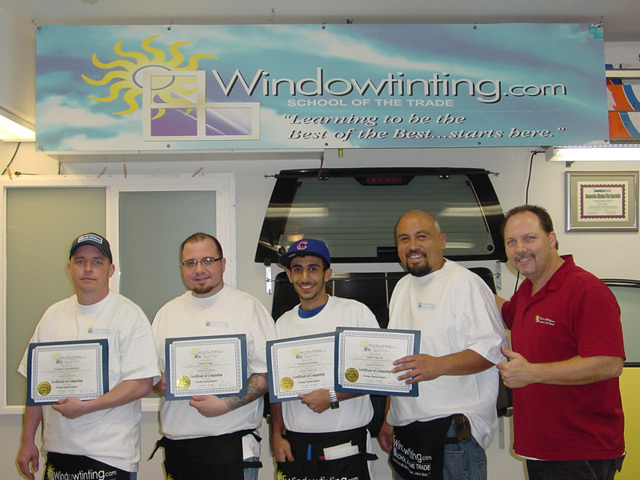 The instructor was very motivating and made great business points outside of just the tinting itself and hands-on lessons. Definitely GREAT class and the sub sandwiches were the BEST! Thanks, Rob. I enjoyed this trip and learned way more than I expected. It was by far the best experience of my life! What can I say…this class was super fun and I learned everything I needed to know about this trade. Thanks Robert!